The Warren Spa is the ideal venue to have that all important girly weekend. The house can accommodate up to 12 girls at the Warren Spa party house. Your girly weekends can be from two to three nights, weekend or during the week. 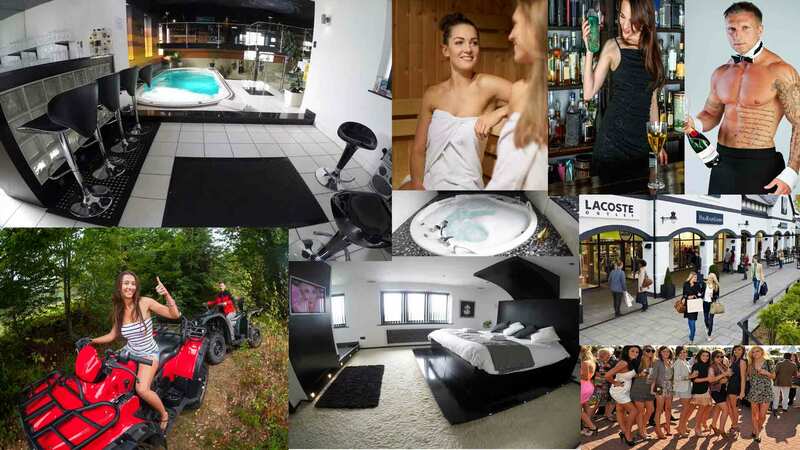 To ensure you enjoy your girly weekend at this amazing spa villa in Cheshire, the spa facilities include In-Door Heated Swimming Pool, Jet Whirlpool, Jacuzzi, Sauna, Beauty Treatments, and Relaxation Area & Bar. You can also enjoy activities such as cocktail making and butlers in the buff, read more here. Go crazy for an afternoon and have fun doing something different. Just 2 miles away there is access to activities such as paintballing, quad biking and archery. Why not hire a BIG marquee for your girly weekend for up to 60 people with dance floors and stages with live acts and party all night. Ideal for girly weekends, weddings and other celebrations. Why not hire a DJ and all the lighting and sound system. Prices on request. Read more here. Having a girly weekend in this area of Cheshire gives you easy access to Manchester, Liverpool and Chester. Locally you can shop to you drop at Cheshire Oaks with major discounts on designer clothing. Frodsham offers fantastic places to eat and drink. Your next girly weekend should be at the Warren Spa and enjoy all the facilities it has offer. The Warren Spa is a large five bedroom house with everything for your girly weekend could ever wish for all under one roof. As well as full spa facilities the house is ultra-modern that has been designed and themed around offering complete relaxation while experiencing the fantastic lighting effects and surrounding decor. The main room in the house incorporates a twenty foot high ceiling whereby an artist was commissioned to paint the galaxy on the ceiling that lights up and twinkles like stars in the midnight sky and drops down to form a sunset on the surrounding walls. The house incorporates glass floors and staircase while offering the latest in home automation technology to impress anyone that may accompany you during your girly weekend. The Warren Spa has been used by many television marketing companies and impressed many celebrities that have stayed from soap stars to first league football players. I am sure you are going to be impressed.